" This video presentation of Dr. John Gottmanwas recorded at the 293-healing-traumatic-attachment-injuries-and-preventing-relapse-in-couples-therapy Healing Traumatic Attachment Injuries and Preventing Relapse in Couples Therapy conference. Dr. Gottman is world renown for his work on marital stability and divorce prediction, involving the study of emotions, physiology, and communication. 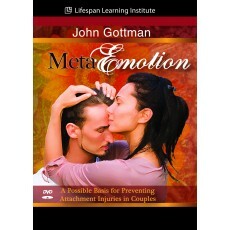 In this program he presents recent developments about the kinds of therapeutic interventions in couples therapy which produce lasting change.In this video Gottman discusses his work on Meta-Emotion and its promise in preventing attachment injuries, which ultimately leads to better relapse prevention. He also explains his psycho-educational approaches to build stronger foundations of marital friendship and repair.